Christmas Dinner always includes pies, and generally we make the same ones every year. How about changing things up this year a bit? In my search for something a little less ordinary, I came across some really great recipes I never even thought of! 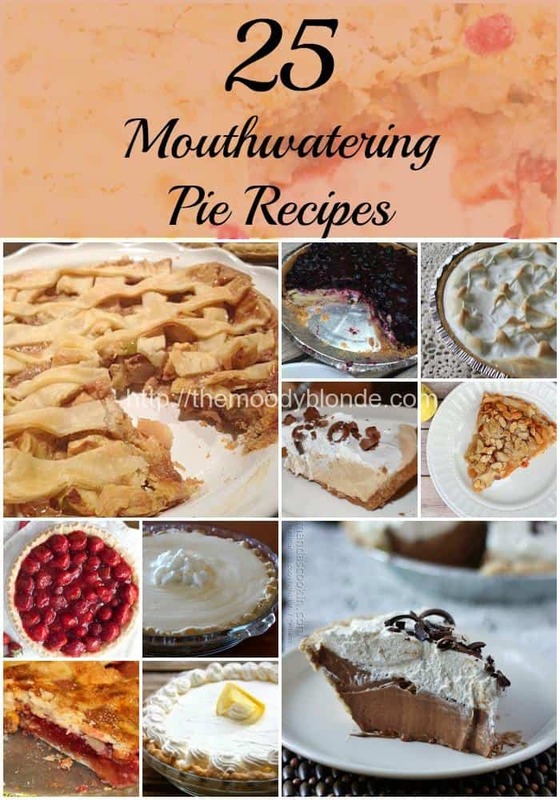 Since I love to share with you guys, I’ve put together a nice little list of pie recipes for you to try out. Try a couple and let us know what your favorite is. 6. Nutella Chocolate Cream Pie – I can’t wait to try this one! 12. Peanut Butter Banana Cream Pie – Can you believe that something so delicious even exists? 19. Fresh Strawberry Pie – Wish I didn’t live in NY. I know some of you still have fresh strawberries! 24. Perfect Pumpkin Pie – Perfectly Classic. Thanks for sharing my Strawberry Pie recipe. You’re very welcome! Thank you for allowing me to share. It looks delicious! Thanks for including my pie. So many good choices here. Thank you for sharing! There are a lot of good choices here. I don’t think I even realized how many pie options there were before I put this together!